Construction of Grayson’s clock tower is complete and now serves as part of the beautiful gateway that welcomes residents home and visitors to our city! The project includes a passive park area with benches, sidewalks, decorative light poles and the stone wall that serves as the foundation for this "welcome to Grayson." 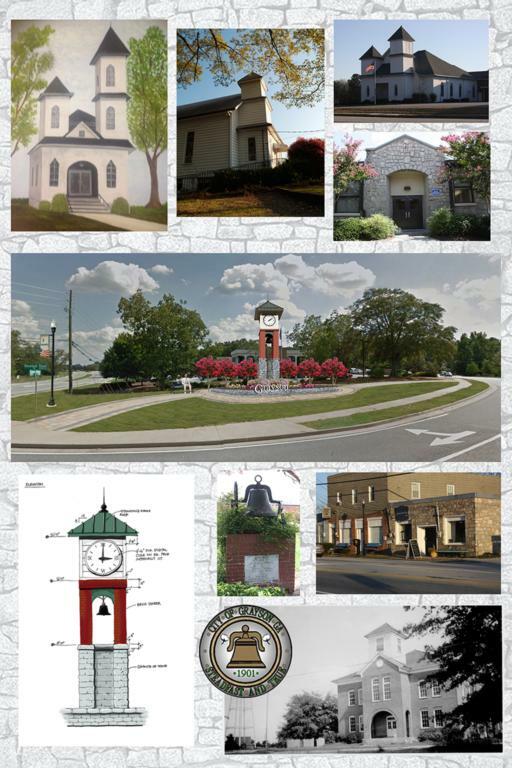 The clock tower project was designed to celebrate Grayson’s rich history and promising future. The rock used for the wall and the base of the tower is reminiscent of the stone used throughout the area and can be seen in buildings around town and the “Rock Building,” a vital part of Grayson Elementary School. The brick in the middle of the tower represents new growth in Grayson. With great consideration towards the architecture which still exists throughout Grayson, the top of the tower was designed to reflect the architectural detail found in the original Grayson High School as well as the three original chapels in Grayson – Grayson United Methodist Church, Chestnut Grove Baptist Church, and First Baptist Church of Grayson. The bell symbolizes the traditional call of community. More than marking the time of day, the peal of the bell has been significant to note the passing of a citizen as well as the call for emergency, need, and celebration. Historic bells can be found throughout Grayson – in our churches, at Grayson Elementary, and as part of our City Seal. During the construction of the clock tower, Jack Britt brought forward the bell that was used at Tripp Academy, the school that served Grayson from 1882-1900. The bell was donated by the family of Ruby Lee Bell Smith, a graduate of Grayson High School’s class of 1928, and we are proud to have incorporated it into the design that was already in progress for the tower. It is truly a significant symbol of our proud heritage and the impact that our founding families continue have upon our community. Continuing in a tradition of community involvement, on December 6, 2014, Grayson’s Masonic Lodge hosted state Masonic leaders as the cornerstone of the tower was dedicated. 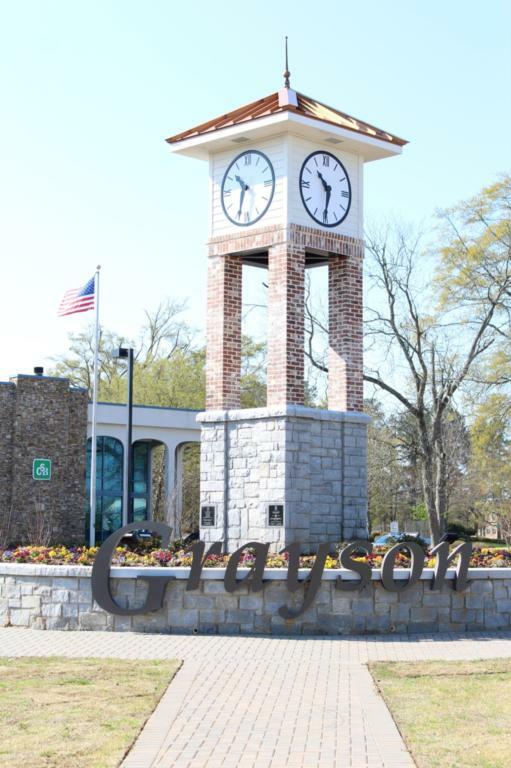 Grayson’s Gateway and Clock Tower is dedicated to the citizens of Grayson by Mayor Allison Wilkerson and City Council Members Laurie Anderson, Trenton Arnold, James Gillespie, Linda Smith Jenkins and City Administrator Laura Paul-Cone. The architect for the project is Precision Planning.